I would wear this w my Christmas dress, navy blue velvet. My email address is samanthadiane219@gmail.com, and I would wear this with a black turtleneck sweater because I think it would really make it pop! P.S. Do you have to do all 4 to be entered? I'm not on Facebook. I would wear this to work. My first thought is that I'd wear this necklace with my new black lace dress. I do like how you wore it with a simple sweater in your picture, however. You really give pizzazz to the casual outfit with that sparkly necklace. So inspiring! My email is jdich@att.net. Thank you! I would wear this beautiful necklace with my black or gray sweater to add some sophistication to my casual look. My email is yank0232@yahoo.com. Thank you and Happy Thanksgiving! So excited for you and your boutique! I'd probably wear this with a simple black long sleeve tee or little black dress. I would wear the necklace with a blush colored sweater and jeans to keep it comfy and classy. So excited for your boutique!! So many beautiful things. I would wear this with my black turtleneck sweater and a classy pair of jeans with boots. It would be just perfect to make it comfy and elegant. Hi! Lar.esthetician@gmail.com I would wear this with a black turtleneck dress. Happy Thanksgiving and many blessings! Hi Yasi! What a great outfit and necklace! My email is theresa.clementi@gmail.com and I have a pretty casual style so I would probably add this to a jean and sweater combo to dress up the outfit a little! I'd wear the Lillian Crystal Necklace to dress up an LBD. It is, for lack of a better word, GORGEOUS! I would wear if with this perfect outfit that my love got me for our anniversary present which is a red blouse, black pencil skirt, leopard pumps and this necklace to complete the outfit (really the icing on the cake) �� Or I'd wear the black pencil skirt with peplum top, leopard or colored pumps and this necklace. Congrats on the move and everything!! I'm so jealous! I would love to move somewhere warmer! I have a black sweater vest and white shirt that needs some interest. I would get a lot of wear out of that necklace. Or just copy your outfit! 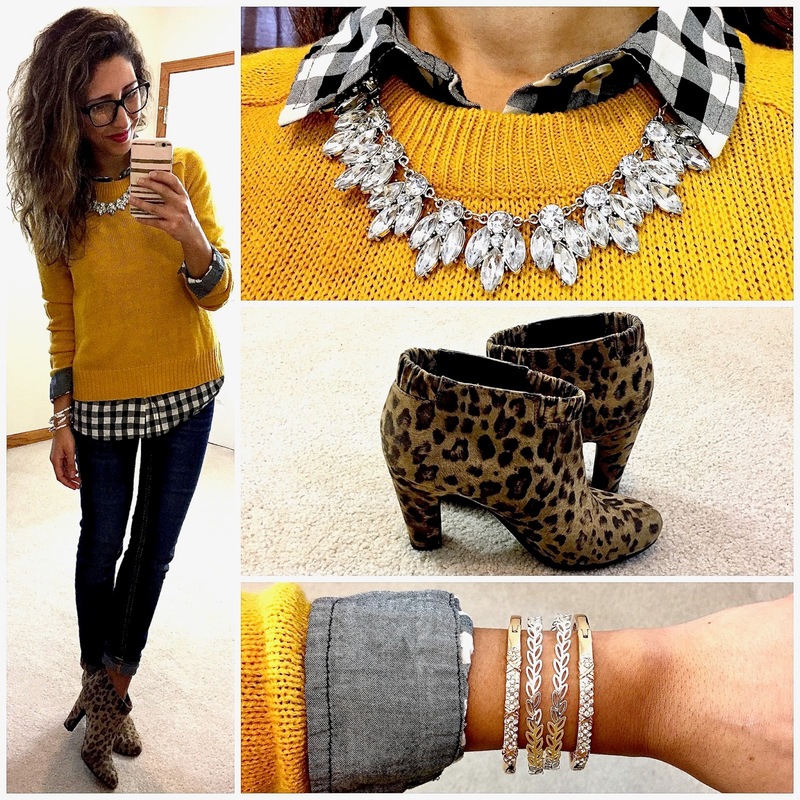 I love these looks and blog & so thankful for your honesty in recent post. Wishing you great blessings in new journey. I'd wear with layered flannel & sweater for pop of being. I would wear this lovely necklace with a black swing dress, leopard flats, and grey waterfall cardi. I'd love to wear this with a little black dress, sparkly tights, and ankle booties! Rhlappe@gmail.com. I have a navy blue dress from Biden that plain and simple abut the necklace would change the look. I have a pretty red dress I plan to wear on a February cruise next year, so this would be stunning with it! My email is rana.moukarzel@gmail.com. 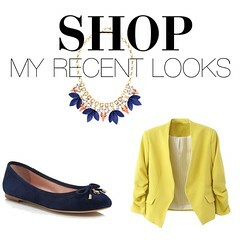 This necklace is so versatile,I'd wear it with any of my outfits casual, work, or formal. If I had to pick one it would be my garnet lace dress. My name is Veronica and my email is vmray2013@gmail.com. I would wear this beauty with a black crew neck knit sweater, snow leopard trouser pants, magenta suede pumps with my hair in a top knot. I'm so happy for you Yasi! I have a super soft black sweater and plaid leggings that I would wear this necklace with. I hope I win. :) Happy Thanksgiving! love it! would wear it with plaid button ups to make them more festive and also with a dress for holiday parties! (karenyuan@gmail.com) Happy Thanksgiving! haileyhennessy@gmail.com would wear this beautiful Lillian crystal necklace with her new & rightfully earned Lula Roe Amelia dress! It is white with thin black stripes subtle, enough to feature the necklace but statement enough to flow together. I've never actually owned a statement necklace so this neutral Lillian would be the perfect starting piece... if the shoe fits of course! Love this look! L4wilkins@sbcglobal.net and I would wear this with my new plaid button up shirt I bought for thanksgiving (but no heavy sweater as it will be 60° here in Fayetteville today!) wishing you every success with your new endeavor! I'd wear it with my burgundy and navy dress - perfect for Christmas! Very fabulous and fantastic thanksgiving outfits. The sweater, shoes and jewelry are really especial. The luxury necklace are looking more gorgeous and standard. I need to purchase a necklace like it. The sweater are looking unique by color and design. Lovely post and thank you very much for sharing such beautiful thanksgiving outfits. Nice day. Glad to know you are in textile--knitwear market, We are professional manufacturer of knitwear for men, women, kids and uniform. Cashmere, merino, cotton or other blend sweaters etc.. Various sweaters are available to be customized as your requirements. Warm welcome to send your design for quote price, if price is workable, we will make the sample for check quality……. The price list will be send to you, if you are interested in. Contact me pls.